You are probably wondering where on earth I am going with this post today and what decluttering has to do with public toilets. Well I am fairly sure you are going to think I have lost the plot when you are done reading this post but I just don’t care. I have a pet peeve which has inspired me to start my own mini revolution here and you can either join me or not but it is something I hope catches on. I hate hand driers they take too long to dry your hands. Couple that with the fact that half the time they either aren’t working properly or don’t work at all it can be very annoying. Not to mention a little late to find out when your hands are dripping wet. So I would much rather that there are paper towels provided in all restrooms. Unfortunately, this also causes another problem due to laziness and lack of common sense. How many times have you been in a public restroom and have just finished drying your hands but there is no where to dispose of your paper towel because the trash receptacle is full to overflowing. You might immediately jump to the conclusion that the maintenance company ought to be more diligent at keeping the restrooms clean and tidy but in fact unthinking people are the problem here. Limit your towel usage by only choosing one piece of paper towel. Dry your hand in the usual way. Now how hard was that. If you think one piece of paper towel isn’t enough you will be pleasantly surprised to find the ball rolling step will actually prove to dry your hands that little bit more while being executed. Just think of how many less environmentally unfriendly plastic bin liners will be required using this simple method. I would guarantee that the bins will need emptying at least five times less just by this one small effort. If the towel is made of recycled paper that is all the better. So how many of you are with me on this. I don’t care if you think I am crazy or not just give it a go. Having just finished a very long road trip along US highways, I heartily agree with the no electric dryers idea. I usually pull the door open with the paper towel in my hand (yes, usually one) and then while holding the door with my foot, I dispose of the paper towel. Some restrooom attendants have figured out that it’s best to put the receptacle near the door. Paper towel is easier to lob into the bin if it is in a ball anyway. I wish the ladies at my work would work this one out. Everyday I when use the toilet in there the trash is full and mostly with air. I must admit my rant was meant to be more to do with balling the paper towel than it was about hating hand driers. The space wasted by trash cans mostly full of air trapped between slightly rumpled paper towel drives me nuts. Boy do I agree. I absolutely detest those hond blow dryers. Like Willow I want to be able to open the door to leave the restroom with the paper towel. Another problem in public restrooms are the “ladies” who pee all over the seat because they won’t sit on it. Or leave the seat cover on the toilet for someone else to have to remove. You’d think they were all raised in a cave or something. If you make a mess, clean it up. I always carry a roll of paper towel in my car. When I have to stop to use the restroom, I tear of a couple of sheets & put them in my purse. When done ,I toss them in the trash container. thanks for joining us, I don’t believe we have heard from you before, so welcome! That is forward thinking I must say. I imagine your paper towel comes in particularly hand when you discover there isn’t any toilet paper either. If I do use a towel, I will be sure to be aware of balling it up before tossing! I have done the hair thing myself. My hair is long and if not tamed, frizzy so a little smooth down can be helpful some days. Thank you for becoming a paper towel baller I really appreciate it, teach someone else you know and get them to pass it on. The hand dryers are very unsanitary because they recirculate air from the room, even pulling it from the floor. They have filters that are supposed to be cleaned regularly, but I doubt they are. I’ve read that some schools, where H1N1 (swine flu) outbreaks have occurred, are being told by the health department that they have to replace hand dryers with towel dispensers because the hand dryers are spreading disease. I never ever use them. I carry a couple of towels with me in case there are none provided. I do exactly as Willow does, but from now on, will ball the towel up before tossing. Good idea Colleen! now I am really grossed out by hand dryers. I am not one to care that much about germs I think the more you are exposed to them the better immunity you build up but Yuk! And thank you for becoming a paper towel baller, pass the habit on to a friend and spread the love! First time to post here, but I enjoy your site. In Japan, where I lived for a long time, they don’t usually provide paper towels and/or blow dryers in public toilets. People are expected – and do – carry their own cloth towels or handkerchieves to dry their hands. I think this is a far better way, especially to conserve on paper or electricity. Another thing I’ve noticed in Canada, where I’m from, is that restaurants are placing the garbage bins closer to the door. I think they were finding that people were using the same paper towel to open the bathroom door to go out, and tossing it nearby. thank you for your comment and for reading my blog. I hope it is helpful to you in some way. I must admit we do take things for granted sometimes. I remember travelling in SE Asia and having to purchase toilet paper from the bathroom attendant as well so I suppose we are lucky really that we get that for free. Not to mention a seat to sit on which not all toilets have there. Thanks for reminding me I will be more grateful in future. Count me in!!! What a grand idea!!! Love the simplicity of it! Keep turning your pet-peeves into earth saving solutions…you are sooo onto something here! thanks for getting on board with this one.Please spread the word. The claim that hand dryers spread germs is of limited veracity, particularly the part anout swine flu, as explained by snopes.com http://www.snopes.com/medical/swineflu/handblower.asp. That said, I agree that most hand dryers are fairly useless, but have you tried a Dyson Air Blade http://www.dysonairblade.com? I’d wash my hands twice to use one of those. they have those Dyson Airblades at the Melbourne airpost here in Australia. They blow so hard I think they probably exfoliate at the same time. I must admit I was impressed when I used it. Being Dyson brand though they would be quite expensive I bet. I live on the east coast of Australia and you could cut the air with a knife the humidity gets so high at times so I envy you. I am sure you know what that is like considdering some of the places you have lived. I don’t know how much a Dyson Air Blade costs (although I can calculate my cost savings per use with their handy web-based calculator), but I did find this fact interesting: The Dyson digital motor spins at 81,000rpm – five times faster than a Formula 1 car engine. Exfoliation, here we come! Hilarious post. I must admit, I never scrunch my paper towel, but will do so in future! thank you for joining the revolution. One of the ladies at my work reads my blog occasionally and I think she thinks I am quite made for writing this one. what an amazing post, colleen. reading through your archives is such a eye opener. I started doing this a year ago, when I basically lived in university and used the paper towels 5 times a day. there was a sticker saying something like: “this sticker makes sure less paper is used: please dont take more than you really need” I was so amazed by that, I immediatly started using just one towel. if that wasnt enough, I took a second one. you dont even have to roll a lot, if you use two little paper towels for 2 soaking wet hands… and I started to tell my collegues, dont know if they made it their habit as well. I for sure will never ever use too many papers. good for you. I did enjoy writing that post. The world hasn’t caught on though, the bins are still overflowing with unrolled hand towel in just about every public toilet I ever use. But Dyson have since invented the Airblade that dries hands quickly and efficiently and I am loving it. This post made me laugh. It’s one of my pet peeves, too! The new hand dryers are a step in the right direction, but are SO loud! 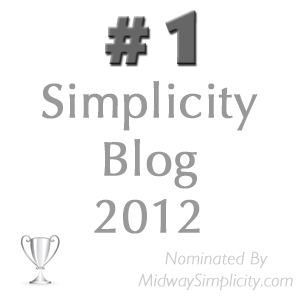 Am enjoying your blog (even though I’m not a subscriber). It’s one of my favorite ways to relax. Love the slow and steady approach. When we visited Williamsburg,VA last year, the public bathrooms had very high speed hand dryers. Don’t know if they were Dyson’s but they dried your hands exceptionally fast but were very loud. I made a decision last year to use 1 less papertowel than I had before. That means that if the towel was very cheaply made and I had used 2-3 pieces before, I would use 1 less. Based on your note, Colleen, I will try to use just one piece. I do like to use it to open the bathroom door and balling it up will make sure it “flies” to the trashcan. I’ll tell my friends about doing this, too. Thanks Maggie, spread the word of not wasting paper towel and especially about balling it up so it doesn’t overflow the bins so quickly. I don’t ball my paper towels. I only use one though. The trick I found is to shake your hands well before drying them and to completely unfold the paper towel before use. Then I lay it flat on the overflowing bin and push the hole lot down. So the next person will find enough space to throw their paper towels in in which form whatsoever. Hi Dagmara, thank you for your comment and welcome to 365 Less Things. It is nice to know that someone else is conscientious about paper waste and being thoughtful of others. Well done you! I have been known to tamp down the overflowing bin myself at times. Hi Ada, I have never used a paper towel to open a bathroom door and it hasn’t killed me yet. I rarely ever get any sort of contagious illness either. I am sure the paper towel company is really happy with this relatively new behaviour though. A behaviour most likely instigated by them in the first place. Just like all those ads on television selling antibacterial products. They want you to think you are at risk not using them. However, the less exposure you have to germs the lower your immune systems is able to deal with them. That is why Western folk get sick in less developed countries while the locals carry on as usual. The western fold are delicate to the germs that the locals have become immune to.